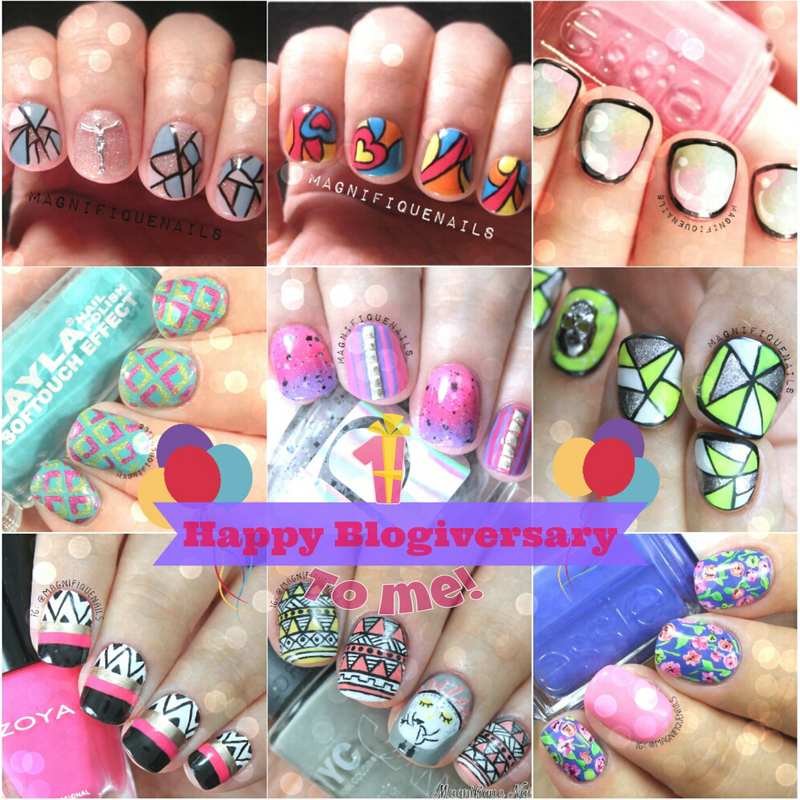 Magically Polished |Nail Art Blog|: Happy 1 year Blogiversary! Hey everyone!! 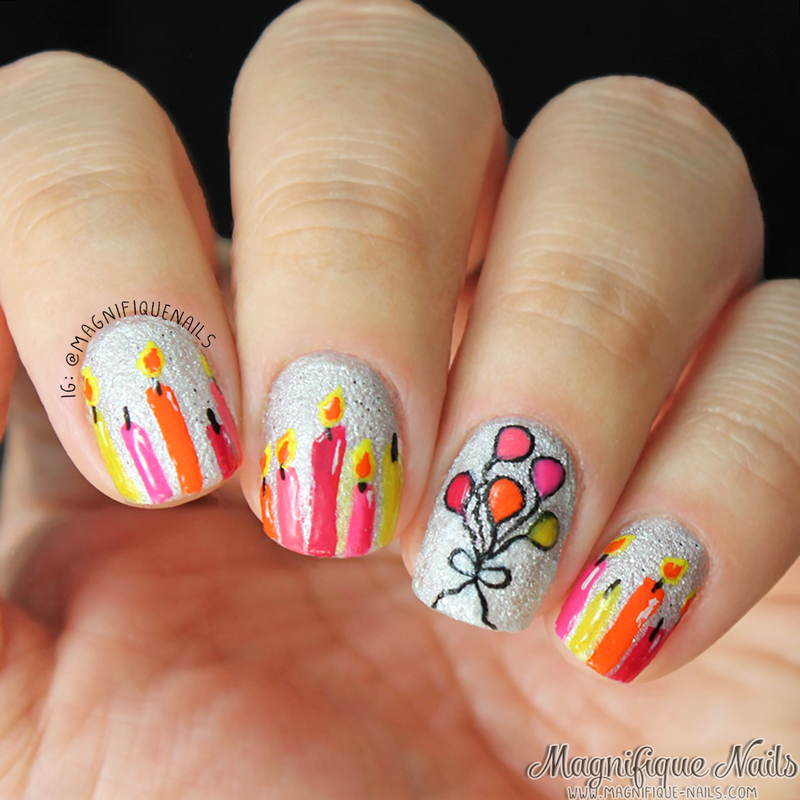 Well today is a special day for my blog...it turns 1! I can't believe it has been a year since I started this blog. Although I feel like I have been talking to myself (I think I'm not the only one out who thinks this way...haha), I really love and enjoy writing, and showcasing my nail art for everyone to see. Its the main reason why I continue! It has become more of a diary for me... well more like and non-private diary, for everyone else to read and see photos of my art work. Nonetheless I hope to continue to see how far I can go and the progress I've made. 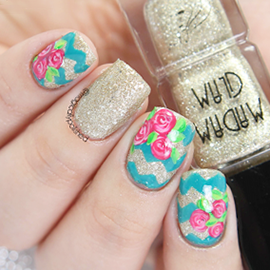 I still can't believe my nails lately, I still can't believe I even created most.